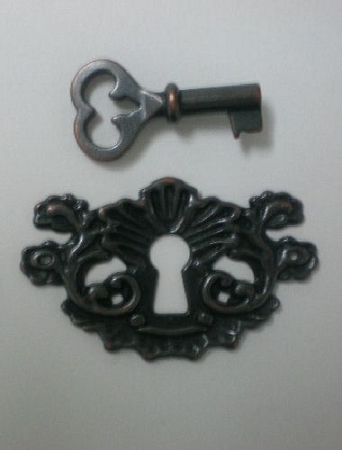 Key and Lock #2, by Clearview Molds, is a 2 cavity mold. The Key measures 1 3/8" x 5/8" x 3/16". The Lock measures 1 3/4" x 1 1/8" x 1/8".